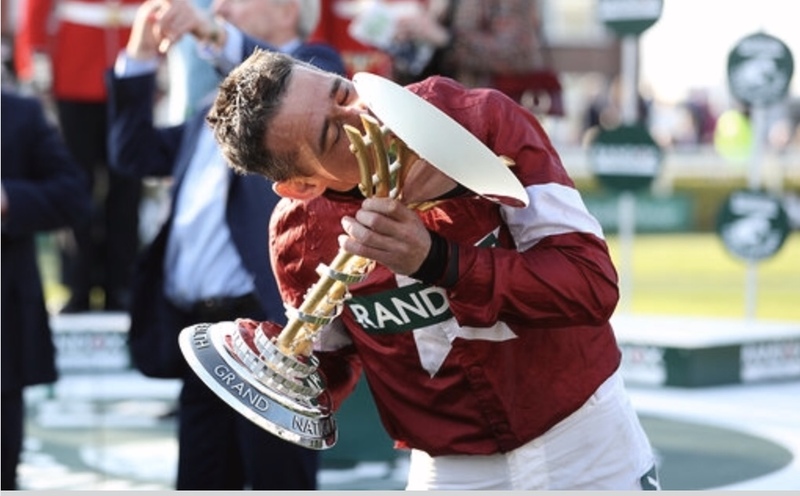 If you were one of the 600 million viewers who watched Saturday’s Randox Health Grand National, then you’ll have seen Tiger Roll became the first horse since Red Rum in 1974, to win back to-back at Aintree. But did you see the trophy? 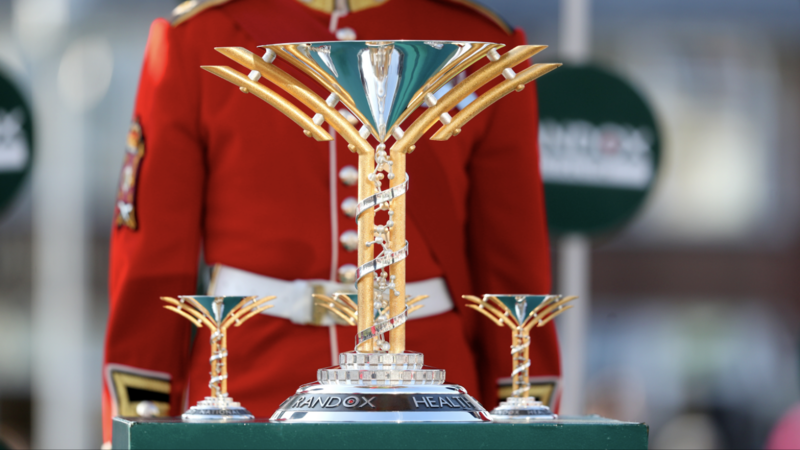 Designer, silversmith Shannon O’Neill was commissioned by Randox Health, to design the trophy for this iconic race, for the third consecutive year in the city where she grew up. 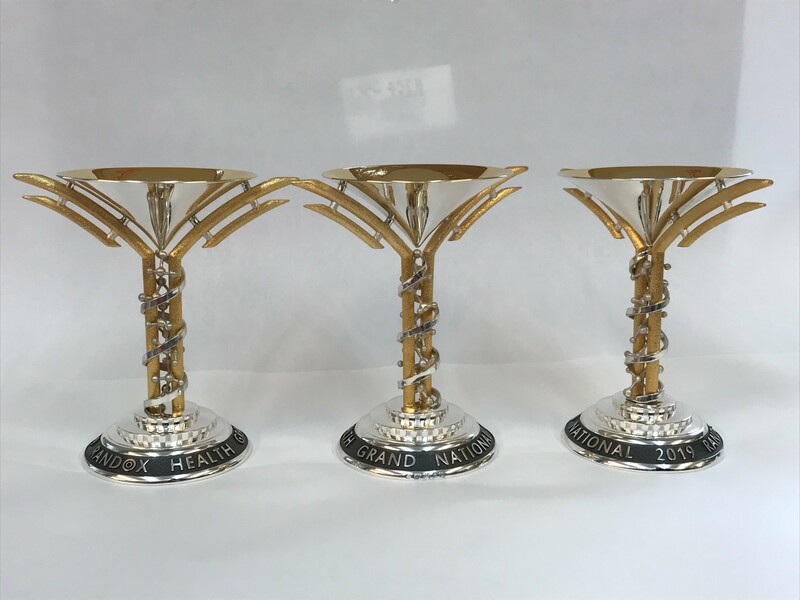 There was a huge team effort over the last few months to create the trophy that echoes antibodies, an alpha helix protein and biochips, which wrap around the base, to showcase Randox Health’s innovative technology and advancements in diagnostic healthcare. Shannon said, “This trophy wouldn’t exist without the expertise of numerous silversmiths, who’ve once again helped me bring this design to life and my huge thanks goes out to them. Thanks also, to the London Assay Office who did such a great job of hallmarking”. Candice Devine hallmarked the trophy in March with a large display mark on the front of the base. 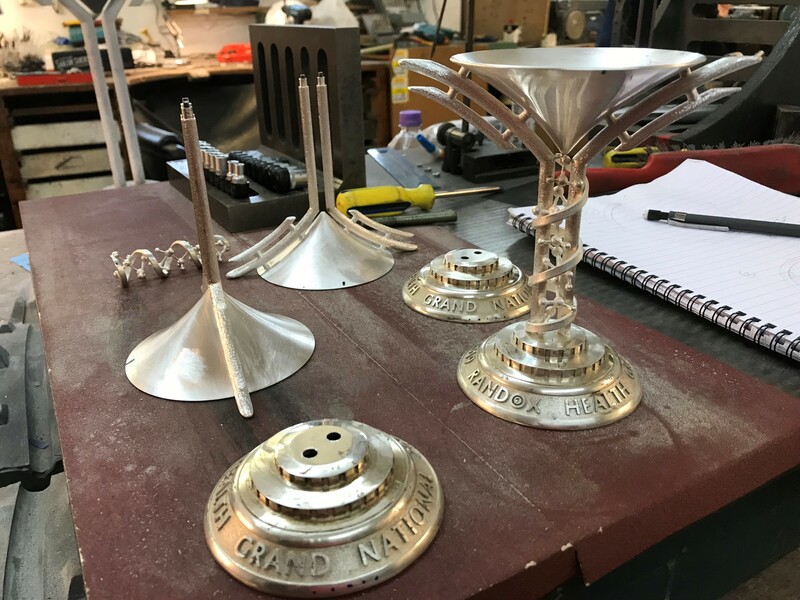 Shannon also made the trophy for the 2017 and 2018 races and came to the Hall to watch the hallmarking process. The large trophy goes to the owner, and the three small replica trophies go to the jockey, the trainer and the groom.